I know that I grew up being told by the food pyramid that grains should be what you eat the most of each and every day. Well, things have changed! As more research has become available the USDA made a change from the food pyramid th “My Plate” which drastically decreases the amount of grains you should have in your diet. All grains are not created equal! Before deciding which grain you should eat it is important to realize that some are better than others. 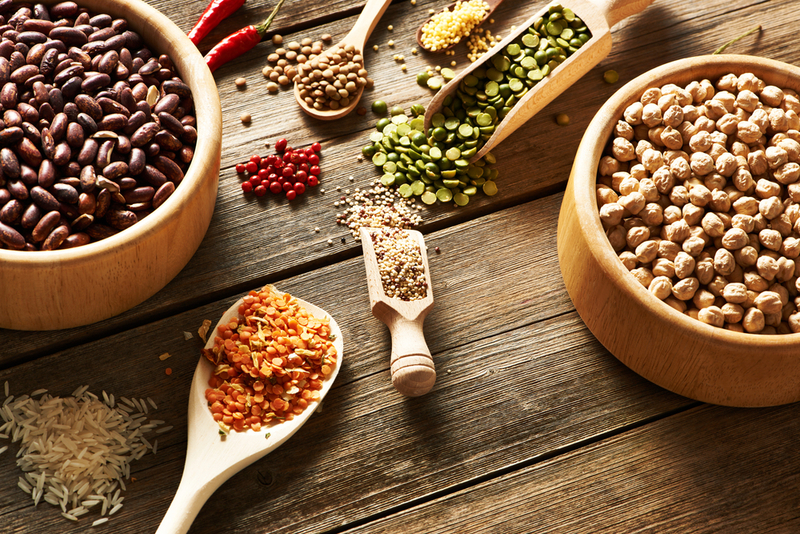 The best grains are also known as “Ancient or Heritage Grains.” These grains include quinoa, amaranth, barley, teff, millet, sorghum and others. These grains have been left unchanged by genetic modifying or deviations in planting or growing methods. These grains are also loaded with vitamins, minerals and proteins including omega-3s and B vitamins. Even healthy grains are not going to have as many nutrients as other food choices. For example, leafy green vegetables are powerhouses of vitamins and minerals. Lean meats (fish and poultry) are full of vitamins, minerals and protein. 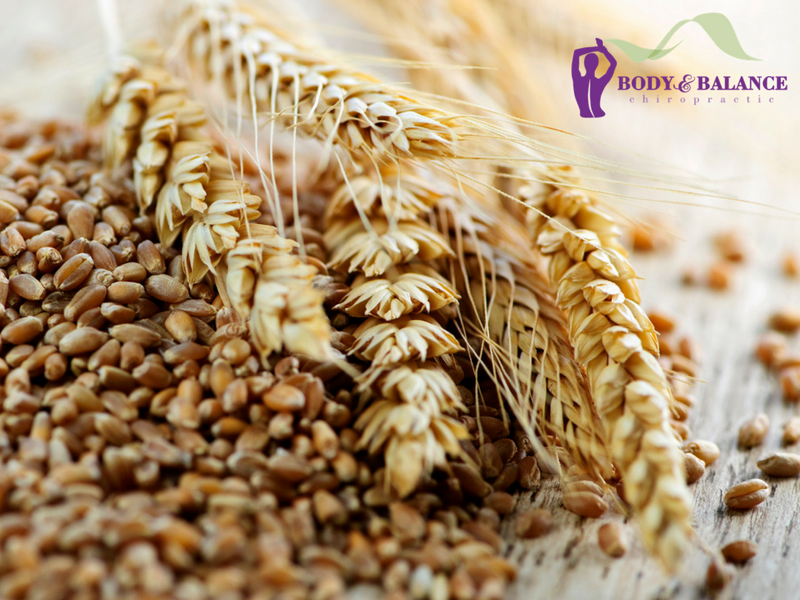 Since grains tend to expand in the stomach it takes a lot less to feel full which results in even less nutrients being absorbed by the body. These “not-so-good” grains which include corn, rice and wheat don’t hold the nutritional value and are also the most commonly produced and consumed grains in the US. In half the world bread provides more than 50% of the average person’s daily caloric intake. Diets based primarily on grains tend to be low or completely deficient in vitamin B12. This leads to megaloblastic anemia which can result in cognitive dysfunction and an increased risk for arterial vascular disease and thrombosis (blood clots). Leaky gut syndrome is a condition that occurs when gaps begin to develop between the cells of the intestinal wall. This leads to undigested food, waste and bacteria to “leak” from the gut into the bloodstream. Leaky gut can also be associated with inflammatory bowel diseases including Crohn’s ulcerative colitis or celiac disease to name a few. According to research done at Colorado State University, humans were not designed to eat grains and doing so may be causing leaky gut syndromes. Dr. Loren Cordain, from CSU, believes that nutritional requirements can be met with other food sources. He also believes that high-fiber bran portion of the grain (what makes it a whole grain) contains anti-nutrients which can lead be pro-inflammatory, create immunotoxicity, neurotoxicity, excitotoxicity, cytotoxicity, cardiotoxicity and may disrupt endocrine function. Meaning grains can be toxic to your immune system, nervous system, cardiovascular system, endocrine system and more. When looking at grains it is important to understand what the marketing words mean. “Natural” and “organic” are not interchangeable. Products labeled “100% Organic” are just that and only can contain organically grown items. A label that says “Certified Organic” is actually going to contain up to 5% of non-organic, synthetic, modified or other for of un-natural ingredient. Finally labels that say “Made with Organic Ingredients” are 70-95% of the ingredients are organic. If you are considering making a change for your family here are some simple tips and tricks to keep in mind. Consider the Paleo Diet. This diet says to eat natural and non-processed foods. The less packaging there is, the more natural it is. Avoid grains, legumes, dairy, refined sugar, potatoes, salt, hydrogenated oils and all processed foods. If you are curious and want to learn more about how to improve you and your family’s diet ask Dr. Elyssa about it at your next appointment. She can help you start with a food diary and determine what part of your system needs nutritional support. To learn more about grains read the full newsletter here.